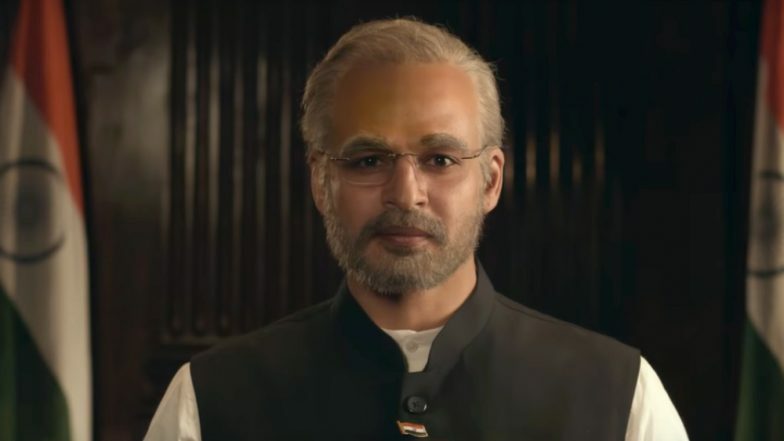 Vivek Oberoi as PM Narendra Modi. Omung Kumar directed PM Narendra Modi, a movie based on the Prime Minister of India, has been in the headlines for all the wrong reasons. The film has been embroiled in the controversy since its announcement. From Vivek Oberoi seen as the PM to the row over the credits on the poster of the flick, the netizens wake up to a new controversy related to the project after every few days. In the latest turn of events, an activist filed a plea against the film's release on Tuesday, questioning the timing of the same, at Bombay High Court. Lok Sabha Elections 2019: Congress Moves EC Over ‘PM Narendra Modi Biopic’, Seeks Stalling of Release. With elections at the bay, a film based on the current minister and political scenario will just add as the catalyst while promoting the party, opine people. The film is slated to hit the screens on April 5 and the Lok Sabha 2019 elections will take place on April 11. Whether the plea will affect the release of the film or will it be delayed, has to be seen yet. On the other hand, another controversy the flick is surrounded by, is that of the names of lyricists Javed Akhtar and Sameer on the film's poster. In their recent tweets, both of them expressed shock to find their names in the credits mentioned on the poster. They also clarified that they had not sung any song for the film. However, producer Ssandip Singh, stated that their names were retained on the poster due to the adaptation of their old songs namely "Ishwar Allah" (1947: Earth) and "Suno Gaur Se Duniya Walon" (Dus). On this, Akhtar argued that none of the recreations that are used in films, credit the original lyricist currently. The movie surely has managed to create a stir and the film's release is uncertain as of now.